Are you looking to build a Digital Marketing career in Oxfordshire, Northamptonshire or Warwickshire? Digital Marketing is no different from any other tech industry in that there are plenty of acronyms & terms to get your head around. So, it’s a good idea to get to grips with some key processes (e.g. SEO or PPC) and their purposes. 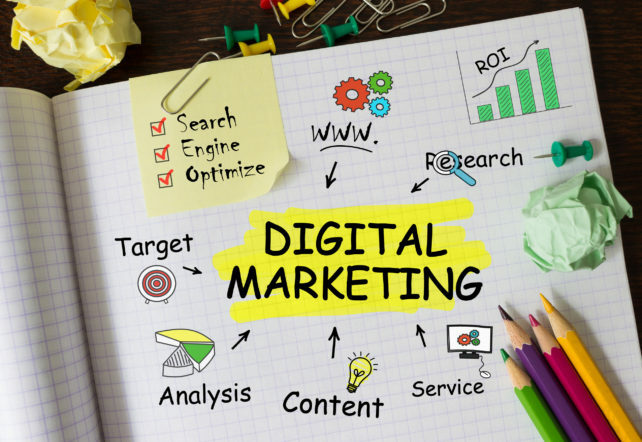 Digital Marketing is also a forever-evolving industry and so make sure you keep up with the latest tools, development and trends, only increasing your credibility. Digital Marketing is a broad term, so is there a specific area that is best suited to your skill set, or one that you are particularly passionate about? Pinpointing this will help in honing your job search. Also, how have you developed your passion and aptitude for Digital Marketing? Perhaps you have created your own blog, website or even brand, based around an interest you have? This is a great selling point and can act as an extension to your CV, offering a real-life example of what you can do. If you already have a little experience under your belt, make sure you have some evidence of your work too. For example, some good content you have written or a successful digital / social media campaign. Qualifications in Digital Marketing / Marketing practices are certainly not essential, but when lacking real life workplace experience, they will give you an excellent grounding and hopefully open the door for you somewhere. The CIM (Chartered Institute of Marketing) certification at Foundation, Certificate or Diploma level is a particularly well-recognised qualification in the workplace and a good starting place, sure to enhance your skills and CV. A degree in areas such as PR, Marketing and advertising is another way to increase your prospects.